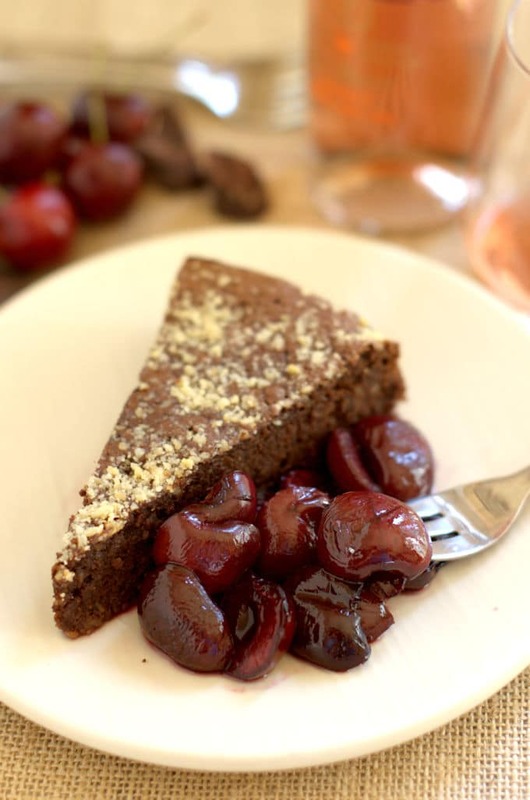 Warm Chocolate Almond Cake is the perfect pairing for Cabernet Ice Wine. Continuing my “After Dinner” wine-pairing series…The third and final course in my dessert and wine menu was the most fun for me to create. 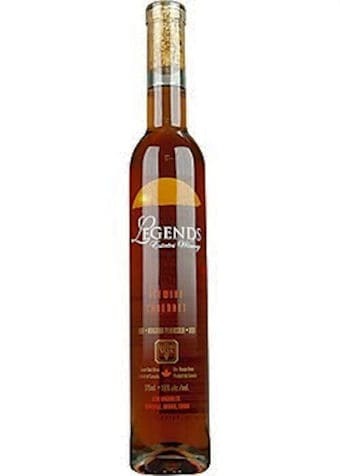 The wine for this course was the Legends Estates Cabernet Ice Wine from the Niagara Peninsula in Canada. 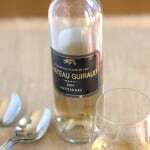 As with the Sauternes that I paired with a Classic Creme Brulee, we didn’t taste this wine ahead of time. 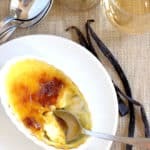 I relied on descriptions from the wine seller and the maker, and also read suggestions from wine experts for pairing desserts with Cabernet Ice Wine. Based on my research, I decided to serve a chocolate dessert with this wine. First of all, any dessert menu has to have at least one chocolate item, doesn’t it? Second, I love dark chocolate and red wine together (this ice wine is made from a red grape, Cabernet Franc). Because it was the middle of summer I considered serving chocolate sorbet, but decided I didn’t want a cold dessert with cold ice wine. Instead I wanted to play the ice wine against a warm chocolate dessert. In addition to working with flavors, the pairing would work with temperatures. 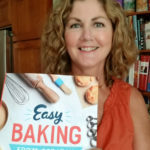 Chocolate souffle was a possibility, but I settled on a warm chocolate almond cake that’s rich, chocolaty and, unlike souffle, easy to make ahead. 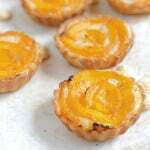 I used Marcona almonds because they have a wonderful flavor and texture, but any almonds or almond flour will work. 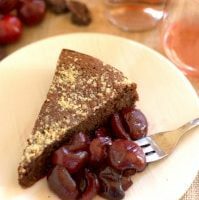 The dessert needed a fruity element and dark cherries are wonderful with red wine and chocolate. 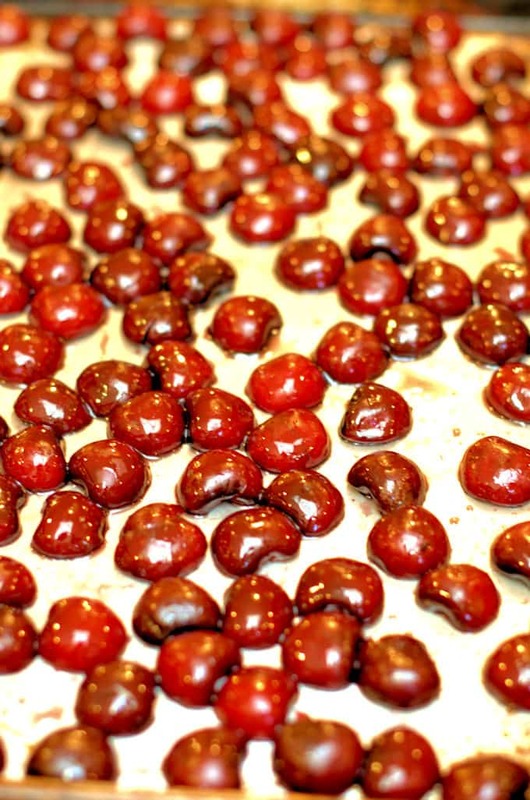 As a nod to the wine’s Canadian origin, I roasted the cherries with real maple syrup. A little black pepper was added for a spicy note. I was very happy with this pairing. The wine had lovely berry flavors that worked with the roasted cherries. This cake is not overly sweet so it didn’t wash out the flavor of the wine. 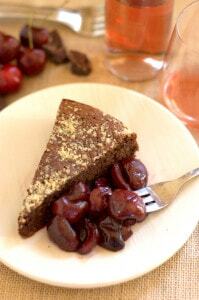 There was enough acidity in the wine to stand up to the richness of the chocolate cake. I saved a bite of the cake to have with the final wine of the evening, a unusual Port made from Petite Sirah grapes. I love dark chocolate with Port and the cake worked with the Port too. Of course any of the desserts I made for this menu are great on their own, without a wine pairing. But it was fun to think about how to match the desserts with an after dinner drink. Have you tried serving wine with dessert? If you have, please share your favorite dessert and wine combination in the comments section. 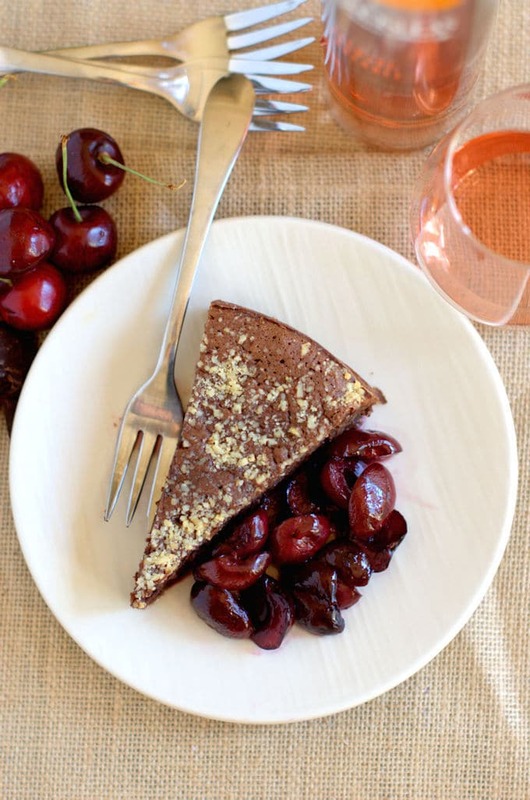 Warm flourless chocolate cake is rich and delicious, and it's gluten free. 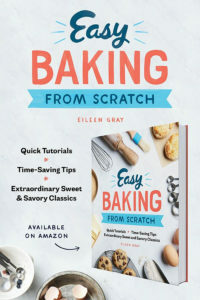 Butter a 9-inch spring-form cake pan and use 2 tablespoons of the reserved 1/4 cup almond flour to dust the buttered pan. Combine the 1 1/4 cups of the ground almonds with 1/4 cup of the granulated sugar. Add the rum and vanilla. Whisk the eggs, salt and remaining 1/2 cup sugar on medium-high speed until tripled in volume and the color turns pale yellow. Fold 1/3 of the eggs into the chocolate then fold the chocolate into the remaining eggs. Bake until the batter is set and a toothpick inserted in the center comes out with a few wet crumbs, about 25 to 30 minutes. 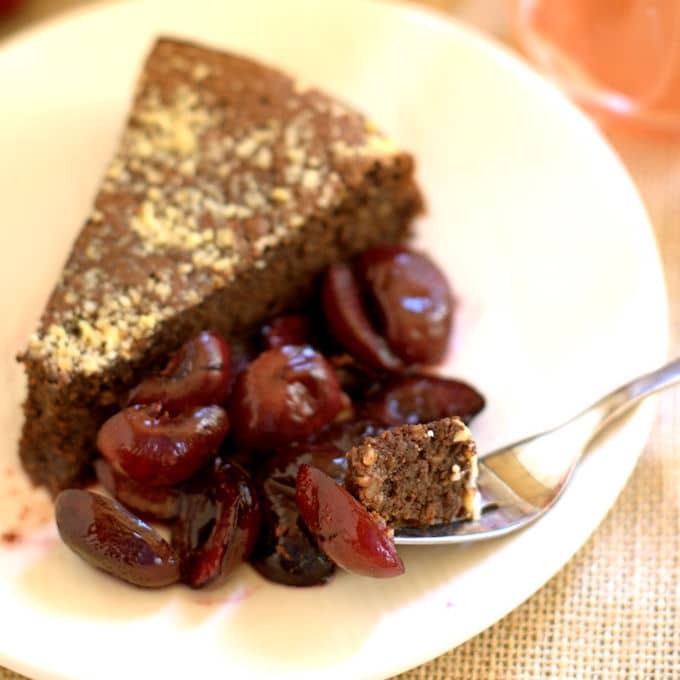 The combination of cake and cherries is simply phenomenal, considering they share so many common qualities. And I just love your after dinner wine pairing – it’s so civilised!